Once upon a time, a girl named Alice decided to make her first ever gingerbread house. She roped in two of her best friends and together, the three of them went to the local supermarket to buy the best goodies money could buy to make the most impressive gingerbread house in the world ever. It was a complete success and after an easy couple of hours of baking and decorating the three friends bought the delectable success to the Christmas dinner party hosted by their fellow friends. This is pretty much the blog post I wanted to write you today. However, as myself and my friends found out this afternoon, gingerbread houses should be left to the absolute experts. 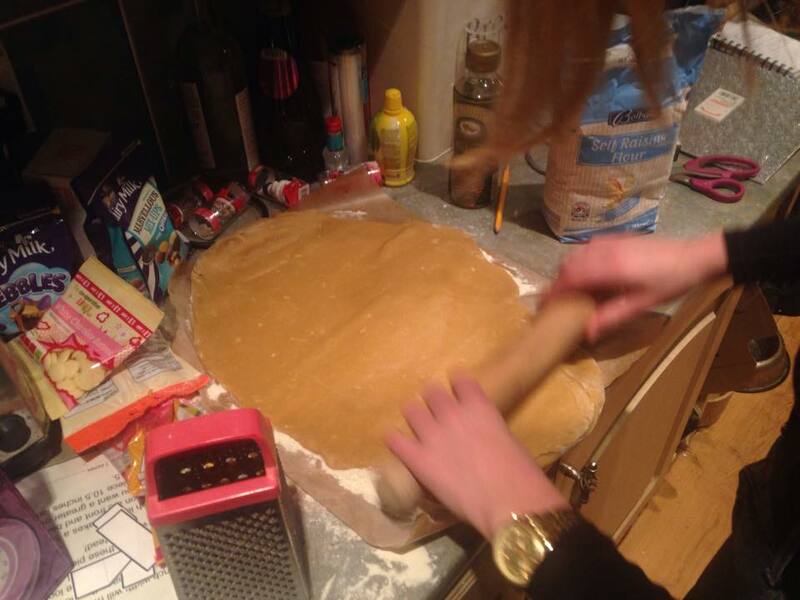 Baking gingerbread is not easy and getting the shapes right is actually super hard, especially without cutters. 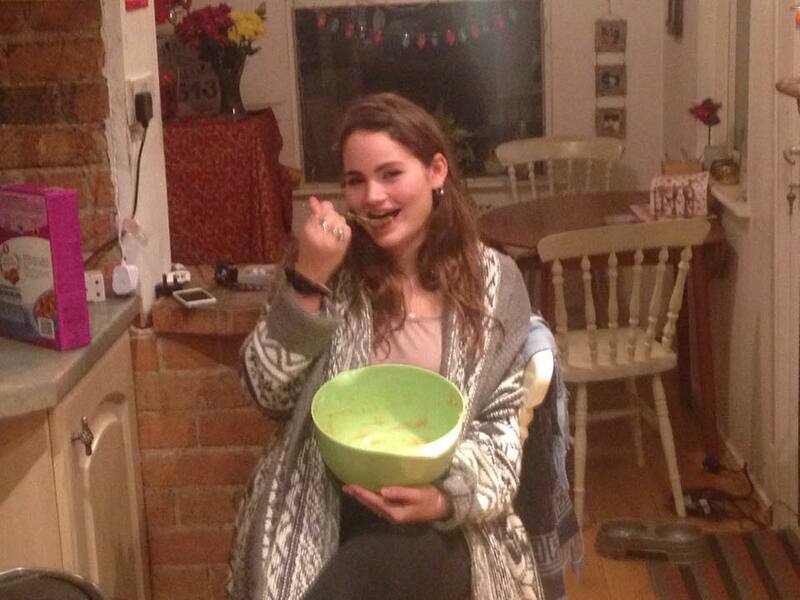 Luckily, Vivienne was there to lend a hand... in the classic 'licking the bowl clean' type of lending a hand way! 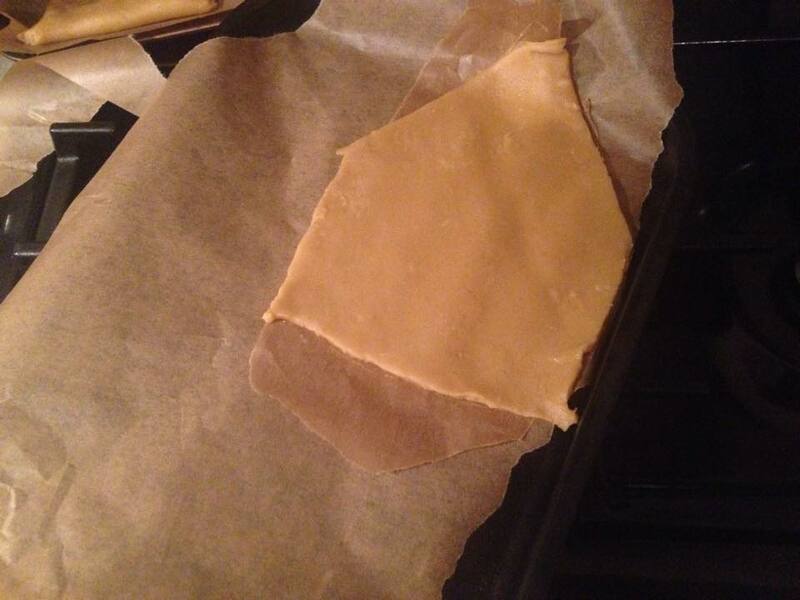 Once all twelve bits had been cut out and baked for 15 minutes, we took them out of the oven and waited to cool down whilst making the icing which would stick the gingerbread house together. 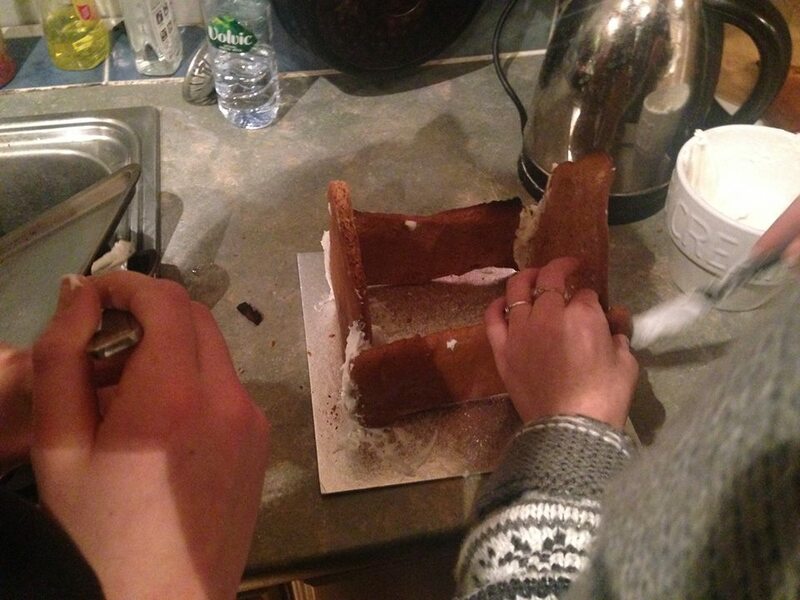 Unfortunately, as we soon found out, sticking together gingerbread is not quite as easy as the instructions make out. We tried and tried, we cut and shaped each bit to make the dimensions easier, but to no avail. Sorry about the blurred photo above, thirty minutes of gluing an un-gluable gingerbread house together had taken its toll on my hands. 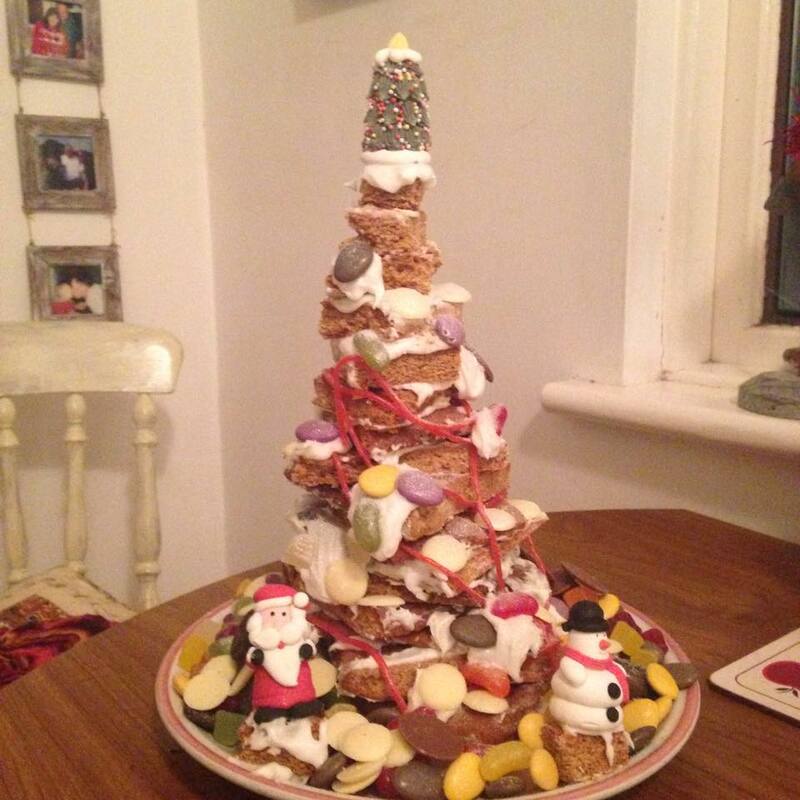 Luckily we had an ingenious idea and with the bits of gingerbread, we decided to cut them into descending sized squares and build them up to make a Christmas tree! We cut and built and glued and I wish I'd taken photo's of the process (how un-blogger of me), but I'm afraid I was too caught up in the moment! Luckily we persevered and, after a solid half hour of building, decorating and sticking, we finally had a half-decent product to bring the our friends table! 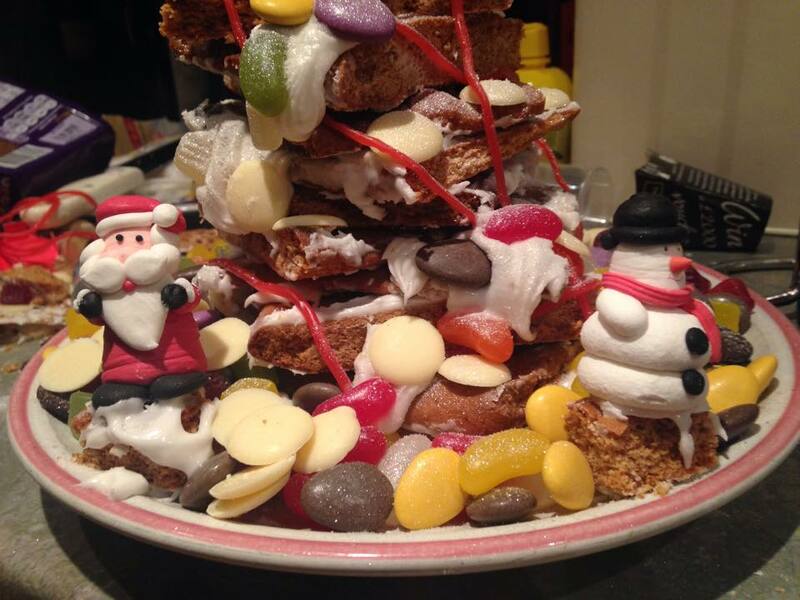 So it wasn't quite the gingerbread house we'd dreamed of. And it's probably the most expensive biscuit tower the world has ever seen. But, after the mess of the crumbled biscuits we'd experienced, we were more than happy to have a presentable, edible dessert! And look at all those sweets at the bottom, 'presents' as we deemed them, absolutely delicious. 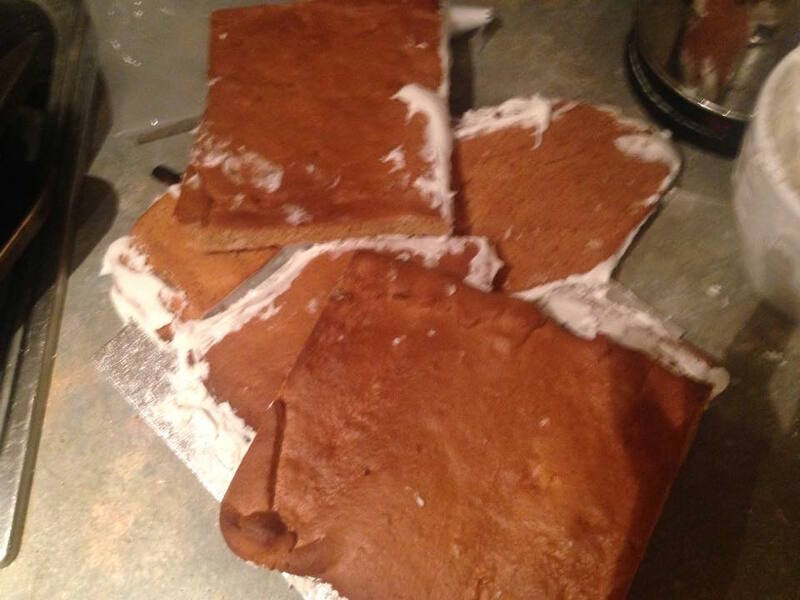 So the life lesson of this blog post, is no matter how much your gingerbread house falls down, it's still gingerbread and it will still taste amazing no matter what you do with it! (Also, sweets and chocolate make everything better)! Glad to know I'm not the only one who has trouble with gingerbread houses!